dkmehaffey at comcast.net for further information. Find out about your fabulous piece of New Guinea tribal art. 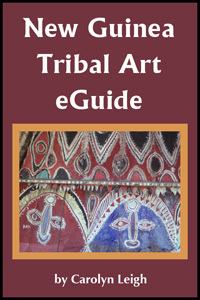 The eGuide provides quick info about New Guinea art and art areas with links to more information. 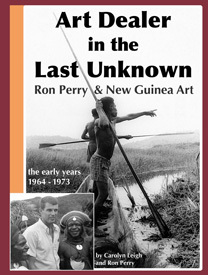 The eGuide contains over 130 photographs and 10 maps, plus adventure photos from Ron's explorations in New Guinea.